The basic thesis of the psychoanalytic psychiatrist, and I am still one, is that in order to understand where you are going, you have to understand where you have been. Therefore, let me begin by giving you a very brief developmental history of law and psychiatry. Of course, like all psychoanalytic history, this one is constructed from the peculiar point of view of the analyst and you should feel free to impute to me countertransference, repression, denial, reaction formation, projection and egocentricity. My history begins with the decade of the 1950s, when psychiatry and, particularly, psychoanalysis had reached the peak of their power and influence in the United States. It was acceptable even for judges to announce that they had been psychoanalyzed. Two such federal judges stood out: Judge Jerome Frank and Judge David Bazelon. Frank is less well known to psychiatrists but he was by far and away the more radical and the more brilliant of the two. He urged all judges to undergo psychoanalysis and in a remarkable book, Law and the Modern Mind (Frank 1970), he demonstrated a sophisticated understanding of Freud and Piaget. Piaget was virtually unknown at that time to most psychiatrists in America. Frank saw the need for law to assimilate these new psychoanalytic and psychological developments and he advocated radical changes in legal education as well as in law. Judge Frank’s ideas are still part of the intellectual dialogue on legal education. Bazelon, author of the famous Durham decision, is better known to psychiatrists. His unique influence was due, in part, to the fact that he sat in a particularly important court which, for many years, functioned both as the ‘state’ Supreme Court of the District of Columbia and as one of the busiest Federal Courts of Appeal. He was in a position to act on many of the issues about which Frank could only speak, and Bazelon had a constant stream of brilliant Yale Law School graduates as clerks to assist his efforts: Abe Goldstein of The Insanity Defense (1980), Joe Goldstein of Beyond the Best Interests of the Child (Goldstein et al. 1984), Alan Dershowitz, one of the authors of Psychoanalysis, Psychiatry, and Law (Katz, Goldstein and Dershowitz 1967), Robert Burt of Taking Care of Strangers (1979), Alex Capron of the President’s Commission for the Study of Ethical Problems in Medicine and Biomedical and Behavioral Research (1982). Bazelon’s most provocative Law and Psychiatry decision of the 1950s was Durham, which opened wide the insanity defense. Durham was decided in 1954—the same year as Brown v. Board of Education, the famous school integration case. Some psychiatric pundits said Durham would be more important. Those were egocentric years. Durham, and subsequent decisions regarding the legal significance of mental illness, gave maximal leeway to psychiatrists to share their wisdom about psychopathology with the American Criminal Justice System. Frank and Bazelon seemed convinced that psychoanalytic psychiatry had achieved a new understanding of human nature, an understanding that would enrich and transform the law. If one looks to the influential forensic psychiatrists of the decade of the 1950s, and I shall mention only two: Edward Glover in England and Manfred Guttmacher in the United States, three important qualities stand out: first, their confidence that the psychological assumptions about human nature in law were wrong and that psychiatry knew better; second, a totally unwarranted optimism about the value and practicality of psychiatry taking a leading role in the rehabilitation of mentally disabled offenders; third, the reformers zeal for change. The law is wrong; we know better and we can do better. Glover, who is now better known for his theoretical contributions to psychoanalysis, had much to say about the British criminal justice system and the criminal mind. Guttmacher, the ‘Dean of American Forensic Psychiatry’ championed the development of Defective Delinquent Laws and Patuxent, the institution in which those designated as defective delinquents were to be studied and treated in the State of Maryland. The law Guttmacher championed went beyond that of other states which, in recognizing the psychopathology of criminals, focused on ‘sexual psychopaths’. Maryland’s statute recognized that all violent offenders might be mentally disordered and those so identified were to be subject to an indefinite term of confinement at a special facility, Patuxent. The American Bar Association (1983) recommended that all such special offender statutes be abandoned and the general view is that, almost without exception, the special institutions which studied and treated special offenders under ‘day to life’ therapeutic confinement have failed (Stone 1976). Glover and Guttmacher were not the first nor the last psychiatric utopianists. The history of America’s mental institutions is a history of utopian promises that went unfulfilled (Rothman 1971). During the 1950s, law givers bowed to the wisdom of psychiatry. The Durham decision was conceived by the Psychiatry and Law Committee of the Group for the Advancement of Psychiatry, whose meetings Bazelon attended and where such famous psychoanalysts as Robert Waelder and Gregory Zilboorg helped Bazelon to reformulate the law of criminal responsibility in the light of the new science. The 1960s witnessed a total reversal of these halcyon days. The law built on a tradition of free will and moral blameworthiness could not assimilate psychoanalysis. Nor could psychiatry or psychoanalysis deliver what therapeutic over-optimism had promised. Judge Justine Wise Polier, an early friend of psychiatry who sat in the family courts of New York, was one of the first to describe her disenchantment. Child psychiatrists provided her court ever more complicated and costly diagnostic evaluations but, beyond that, little, if anything, in the way of effective or cost effective treatment (Stone 1976). For her, a psychiatric consultation was an exercise in futility because even in those rare instances when clear recommendations were made, there was no feasible way the recommendations could ever be carried out. The rehabilitation of special offenders also failed for lack of resources and the absence of efficacious treatment methods. The same evidence of failure could be documented in virtually all of the country’s state mental hospitals. However, the impetus for legal change came not from this dismal record of failure nor from the sensible and well-founded criticism of judges like Mrs Polier. Instead, it arose from two different sources: the first was the civil libertarians who had achieved a series of legal triumphs over racism in the 1960s and, encouraged by their success, were now turning their attention to other legally disadvantaged groups, one of which was the mentally ill (Stone 1976). The same constitutional, equal protection and due process arguments made on behalf of blacks were now applied to the mentally ill—schizophrenia, like race, was a suspect classification (Ennis et al. 1973). Civil libertarians demanded liberty for the mentally ill. The second impetus for change came from the anti-psychiatrists, most notably Doctor Thomas Szasz. Szasz would exercise the single greatest influence on law and psychiatry during the 1960s. According to his pronouncements, mental illness was a myth (1984), psychiatry was the inquisition (1977), and involuntary treatment was either brainwashing or brain damaging (1968). Psychiatry was, in his view, a dangerous and oppressive ideology. In the name of patients’ rights and in the spirit of anti-psychiatry, the 1960s ended with federal judges and state legislatures attacking the discretionary authority of psychiatrists whenever and wherever they acted under color of law to violate the liberty or autonomy of persons they ‘labeled’ mentally ill (Stone 1984). The legal remedy was to impose on psychiatry the law’s own criteria and procedures for decision making. If in the 1950s we had told the law how to think and what to do, now, with a vengeance, in the late 1960s, using the legal arguments and rhetoric of the civil rights litigation, they told us what to do and how to think. Moreover, in retrospect, many judges and lawyers, as we shall see, would argue that psychiatric and psychoanalytic wisdom had ‘contaminated the law’. One of the ironies of the 1960s is that the real racism in psychiatry was never confronted by the courts, namely the institutional and implicit racism in treatment criteria which resulted in minorities being confined in the least effective treatment settings. Congress had discriminated against the mentally ill in the provisions of Medicaid in 1965. Patients in state mental hospitals were singled out as ineligible for Medicaid. Blacks and other disadvantaged minorities were over-represented in these Medicaid-ineligible facilities. Dr Morton Birnbaum would eventually, but unsuccessfully, present these issues to the Supreme Court in Legion v. Weinberger. This was the first case in which the newly created APA Commission on Judicial Action submitted an amicus brief to the Supreme Court describing this combination of institutional racism and discrimination against the mentally ill. Unfortunately, however, the Supreme Court refused to consider the case or respond to our arguments. The antagonistic changes in law toward psychiatry took root and proliferated in many ways during the decade of the 1970s. Moreover, a powerful legal tool of litigation would characterize that decade: the class action suit. Legal advocates, having enlisted a few named mental patients, would claim to speak for the constitutional rights of all similarly situated mental patients. Such class action litigation now took aim at the failures of public sector psychiatry. This litigation asserted a constitutional right to treatment and demanded that the state provide necessary funds and resources to fulfill this right. Lower federal courts adopted the right to treatment and forced sweeping reforms of some state mental health systems. However, this legal development was not uninfluenced by utopian psychiatric programs. Dr Harry Solomon, a Harvard Professor of Psychiatry, a President of the APA and a state Commissioner of Mental Health had said in the 1950s that the state mental hospital system was bankrupt. To replace that system, the psychiatric vanguard led by Dr Bertram Brown devised the community mental health center movement, which, in time, would also be much criticized (Joint Commission on Mental Illness and Health 1961). Legal activists, aided by psychiatrists who endorsed the community mental health approach for the mentally ill and ‘normalization’ for the mentally retarded, brought class action constitutional litigation on behalf of the institutionalized mentally ill and mentally retarded demanding the right to treatment in the ‘least restrictive setting’—a legal term equivalent, in some sense, to the ideal community mental health system. Different law suits made different constitutional claims but the central issue was that the involuntarily-institutionalized mentally disabled population was entitled to substantive rights under the Fourteenth Amendment, most importantly the right to treatment in the setting least restrictive of their liberty. Class action right to treatment litigation, influenced by the community mental health movement, ambivalently alternated between demands to improve outmoded institutions and demands for ‘outplacement’ (Stone 1976). By the end of the 1970s, class action suits had been successful in several states and, under the threat of this class action constitutional litigation, many other states agreed to so-called consent decrees which were to be enforced by the courts. The demands of the legal advocates, embodied in these consent decrees, often ignored the long-term needs of chronic mental patients and the states invariably underestimated the costs and resources needed to meet the obligations to which they had consented. Lawyers were forced to return to the federal courts to demand that consent decrees be implemented as the states dragged their heels. Ultimately, judges, their delegates or the legal advocates were dominating the administration of many state mental health systems and mental hospitals, while the psychiatrist had been deposed as the head of the team, the administrator of the hospital and the leader in the formulation of mental health policy. The 1970s saw an explosion of legal control and bureaucratic regulation of the public mental health system in America. The human services model replaced the medical model. Public sector psychiatry emerged a regulated industry, anticipating the fate that would soon befall the entire medical enterprise, private as well as public. The legal crusade had forced the great ideological dragon of psychiatry out of its cave and, when the dust settled, all that remained was a beleaguered group of deprofessionalized bureaucrats. And what of the patients who are now called clients? The Bag Lady is the symbol of their transformation. From the back ward of the state hospital to the least restrictive setting of the city streets, such was the path of progress in the post-industrial welfare state. 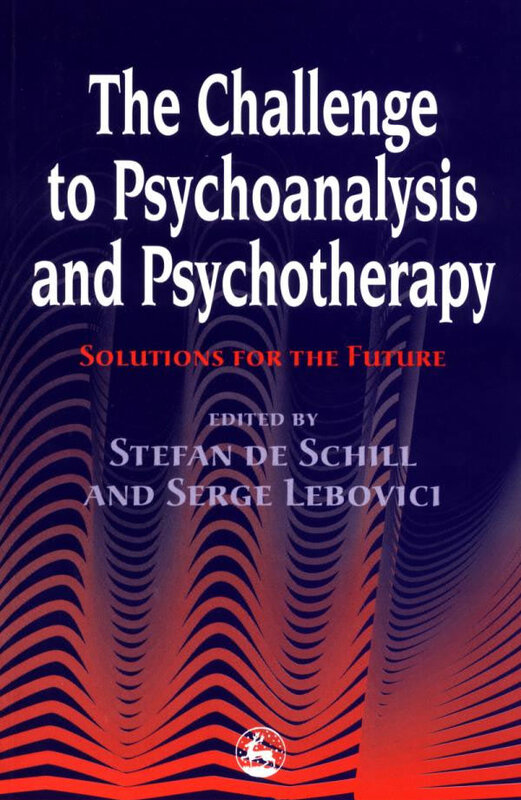 The future of law and psychiatry will, of necessity, be a response to these developments of the recent past—psychiatric grandiosity in the 1950s, civil libertarian and radical repudiation of psychiatry in the 1960s and judicial interventions and bureaucratic regulation in the 1970s. Yet, perhaps, the most important new development in psychiatry in the 1980s and beyond has come not from law and regulation but from deregulation and the rise of corporate medicine. The for-profit sector, which was first built on the federally subsidized nursing home industry (Vladeck 1980), began to acquire and expand private psychiatric hospitals. Psychiatric beds in general hospitals also expanded and the psychiatric profession shifted its work place. The for-profit mental healthcare sector became a reality in the 1980s. The enthusiasm for regulation of the 1970s gave way to an enthusiasm for deregulation, competition and the free market in healthcare in the 1980s. The for-profit sector is changing healthcare in the United States at an astonishing and bewildering pace and the outcome is uncertain, but one thing is clear: the indigent chronic mentally ill are not an obvious source of profit. Psychiatry and its supposed wisdom has contaminated the pure moral reasoning of the law and, therefore, we should get rid of this permissive, determinist and unscientific nonsense. Involuntary psychiatric treatment is repressive and even harmful, hence potential patients should be provided due process safeguards against such abuses. The only valid justification for involuntary psychiatric treatment is the protection of society. Judicial intervention based on class actions creating new substantive rights is problematic, but when institutional conditions for patients are intolerable by any standard of human decency, intervention is constitutionally required. Of course, my history of psychiatry and law and my description of the current posture of the law is a caricature. It leaves out many details as well as many other important trends, but greater detail and qualification is impossible in these pages. Let me instead give you some examples of how these decades have and will influence psychiatry and law for the rest of the 20th century. At the outset, let me risk describing some future trends. The law is not going to look to psychiatry for wisdom. There will be little in the way of new civil libertarian reform but there will be constant legal advocacy to apply that which now exists. There will be less federal and more state judicial intervention as the federal courts become more conservative. Finally, there is reason to expect a significant amount of malpractice litigation. I shall now discuss the future of law and psychiatry in terms of four headings: first, law’s alleged contamination by psychiatry; second, due process reform; third, protection of society; fourth, judicial intervention. Durham was the high point of judicial decision making in support of psychiatric and psychoanalytic wisdom. Durham expanded the insanity defense in a community, the District of Columbia, beset by a rising tide of violent crime. Durham became a symbol for growing public dissatisfaction with the failure of the criminal justice system. Bazelon’s own court rejected Durham in the 1970s and many lawyers were convinced that then Judge Warren Burger had been correct in criticizing Bazelon’s original decision as an ‘illegitimate transfer to psychiatrists of … power’ (Moore 1985). Even Bazelon’s (1974) love affair with psychiatry had waned in the 1970s and he warned the profession about the ‘perils of wizardry’. In the 1980s, with commendable humility and with an eye to the growing crescendo of legal and public dissatisfaction following Hinckley’s acquittal by reason of insanity in his attempt on President Reagan’s life, the American Psychiatric Association (1983) announced that the role of psychiatry should be substantially curtailed in the courtroom. We abandoned any claims of wizardry and we acknowledged that we might be contaminating the legal process. The APA recommended that psychiatrists not be allowed to give their opinion on the ultimate question of criminal responsibility, asserting that psychiatrists, even forensic psychiatrists, cannot answer what are legal, moral and social questions and not scientific questions (American Psychiatric Association 1983). Further, admitting that psychiatry could not scientifically distinguish between an irresistible impulse and an impulse not resisted, the APA urged the law to go back to what is essentially a nineteenth-century cognitive formulation of the insanity defense. This is the defense which Zilboorg, Waelder, Glover et al. had claimed was incompatible with the great scientific discoveries of twentieth-century psychiatry and psychoanalysis. We were congratulated in editorials around the country for our new-found modesty and good sense. The American Bar Association, and even the Congress, quickly followed our lead and across the country the laws of criminal responsibility were changed. In practice, however, we should expect the future to bring even more conflict about the contaminating influence of psychiatry on law. Restricting the insanity defense is like rearranging the deck chairs on the Titanic for if all of twentieth-century psychiatry were to vanish tomorrow, the criminal justice system would be as bankrupt and bogged down as it is today. Nothing has changed which will resolve the growing public dissatisfaction with the criminal justice system. Psychiatry is a convenient scapegoat for a criminal justice system which has been brought to its knees by the sheer weight of numbers. Ironically, in resolving questions that have nothing to do with the insanity defense, the courts have created precedents that permit psychiatric ‘contamination’ of the legal process on all sorts of issues, civil as well as criminal. The courts cannot turn back the clock to the nineteenth century and purge the law of this widespread contamination. They have grounded these precedents in constitutional rights and basic requirements of common law. Thus judges, lawyers and the public will have ample opportunity to complain about psychiatry. Psychology will replace psychiatry as a threat to the purity of law in the coming years. Psychologists have entered the growing ranks of forensic experts. More important, scientifically-informed jury rigging based on psychological survey research and pre-trial rehearsal of litigation strategy in front of mock juries selected by sampling technics allow refined psychological manipulation of the real jury. If these social science technics are further implemented, they could contaminate the law’s traditional procedures for assuring fairness and justice. Such technics will, of course, give an unfair advantage to wealthier litigants. If psychiatry contaminated the law’s substantive moral purity, psychology may well manipulate the law’s procedural safeguards in a way that will challenge the credibility of the adversarial system itself. I turn to the theme of due process. The thrust of due process legal reform in psychiatry has been to shift more and more of the difficult decisions about involuntary confinement and treatment from psychiatrists to the courts. Justice Frankfurter, in a 1950 Supreme Court decision, distinguished between a guess and a truly-informed guess. A guess is what the psychiatrists do when they make a decision about sanity. A truly-informed guess is what a court does when it makes a decision about sanity after adversarial psychiatrists have testified in the witness box. The law may not always know what to do but it always knows how to do it. Adversarial hearings, experts for both sides, cross examination, zealous legal advocates and all of the legal safeguards of a criminal trial; this is how the law makes decisions. This truly-informed guessing is the law’s ultimate due process solution to a wide variety of problems and it creates an insatiable appetite for conflicting experts. The courts need to hear psychiatric testimony to make these psychiatric decisions, even if they think, as one federal judge put it, that ‘the diagnosis and treatment of mental illness leave too much to subjective choices by less than neutral individuals’. In fact, the more the law distrusts our competence, the more it demands our expert testimonial services. And at every juncture between law and psychiatry where there has been more reform (particularly due process reform) attacking the discretionary authority of the psychiatrist, there is, in fact, more need for psychiatric testimony. In the future the remedy of due process will be applied to important decisions made by psychiatrists and the rest of the medical profession. Judges, ethics committees and other proxy decision makers will assume responsibility for life-and-death decisions. Doctors and other healthcare providers will be called from the bedside to give conflicting testimony so that judges and these other proxy decision makers can make their truly-informed guesses. A legal wedge has been driven between medical authority and medical responsibility. Due process is a basic requirement of a democratic society. I do not reject it but where due process has been, mindless bureaucracy often follows. De Tocqueville said a century ago that in America all social problems become legal problems. And I would add that in the psychiatric and medical context all legal solutions become bureaucratic problems.